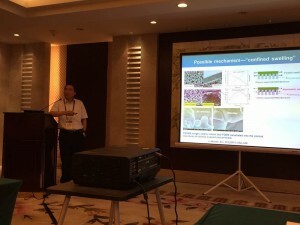 During July 12-15 Prof. Jin attended the 7th Global Chinese Chemical Engineers Symposium (GCCES) hosted by Tianjin University in Tianjin, China. 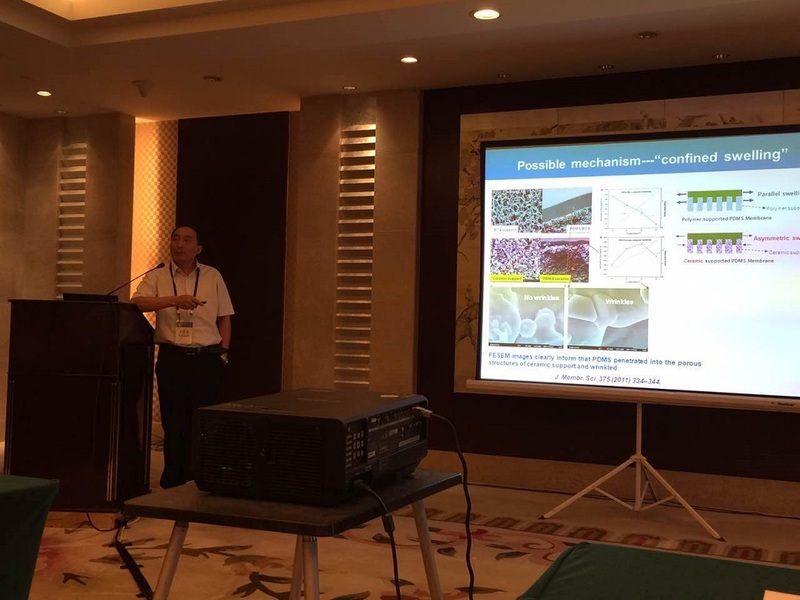 Prof. Jin was invited to give a lecture of “Organic-Inorganic Composite Membranes: From Lab to Industrialization”. This presentation reviewed our recent progress in organic-inorganic composite membranes, from the aspects of fundamental study and industrial implementation. Various membrane types with different materials were discussed, including ceramic-supported polymer composite membranes, mixed matrix membranes and graphene-based membranes. The presentation also introduced several typical applications of the membranes in fields such as bio-fuels production, organic compounds recovery, solvent dehydration, carbon dioxide capture and so on.